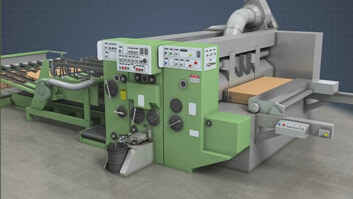 The paper and board used to produce corrugated board are produced from wood fibers on a paper machine. Starch solids levels usually run between 23 and 35% in order to achieve the desired adhesive flow characteristics (viscosity). 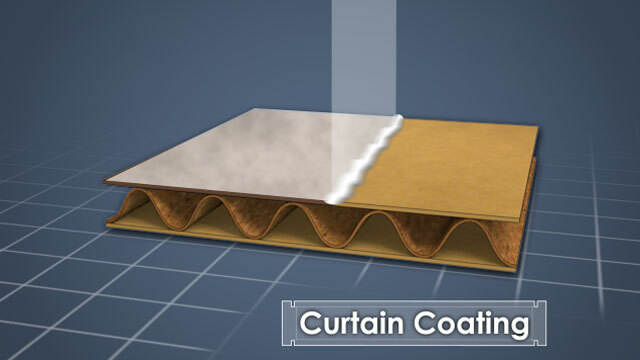 "Curtain coating" is applied to corrugated board by passing box blanks under a falling sheet or curtain of liquid coating (melted wax or poly film) to coat one side. Some coaters flip the blank to also coat the other side. Why is corrugated board brown? Corrugated board is made from unbleached wood fibers, which are brown because they contain residual lignin. 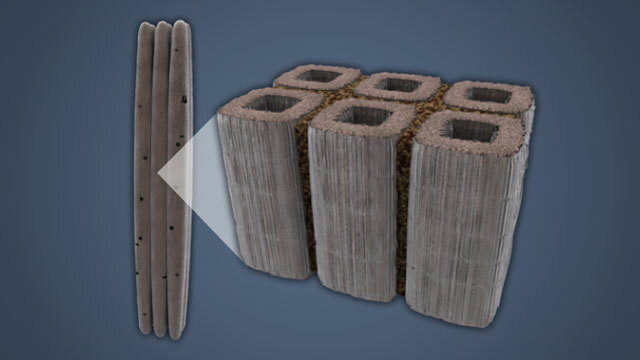 Lignin is the glue that holds the fibers together in wood. How is white corrugated board made? 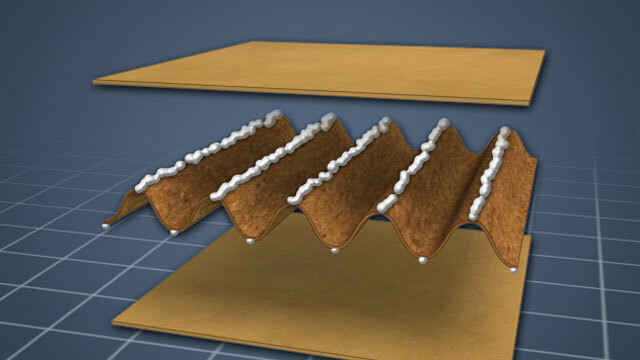 White bleached pulp can be deposited on top of linerboard on a paper machine to produce one white printing surface, or the linerboard can be made entirely of bleached pulp. What is the difference between linerboard and corrugating medium? Linerboard needs to be strong, while medium needs to easily conform without breaking. 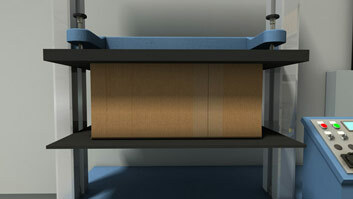 Linerboard is usually made from long softwood fibers, and OCC is sometimes added. Medium is usually made from NSSC hardwood fibers or OCC. How can microbiological growth be prevented in starch-based adhesive systems? A biocide and fungicide program can help prevent microbiological growth. 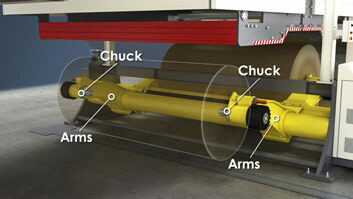 It is also important to clean out the entire adhesive system on a regular basis. What kind of glue is used to make manufacturer's joints? 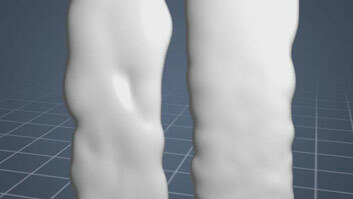 Water-based PVA (poly vinyl acetate) adhesive or "cold glue" is widely used to make manufacturer's joints. 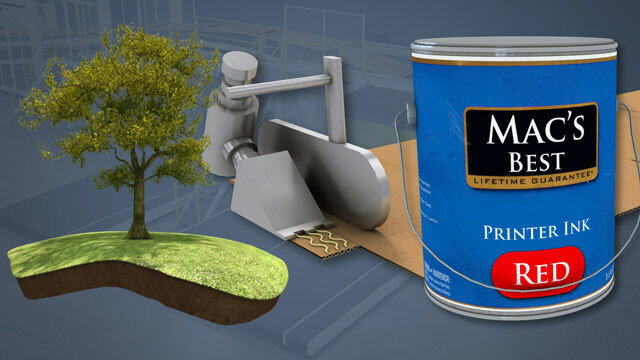 PVA adhesive is strong, inexpensive, and easy to use because it doesn't require heating. A PVA glue joint will fail when it gets wet, but usually after the adhesive in the corrugated board fails. Corrugating medium is also unbleached and brown though the demands placed on it are quite different from the liner board. While liner board needs to be strong, the medium needs to easily conform without breaking. Medium is typically made from hardwood pulped in the neutral sulfite semi-chemical process or recycled fiber from old corrugated containers. These pulps both have shorter fibers and the paper produced from them is easily fluted on the corrugator. The medium is usually lighter and thinner than the liner board. 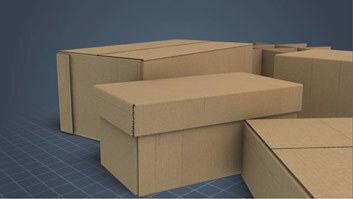 It gives strength to corrugated board because of its curvature and shape, not its thickness.